of US.” If you are an educator in a school system, you can order one for your school as well. The History Channel folks are GIVING AWAY copies of this 9-1/2 hour DVD series at no charge to ANY school in the US who will use it in their classes…and that specifically includes homeschools, believe it or not. The deadline for requesting a copy is July 1st. The site says these will auto-ship in July. Keep in mind that you may want to preview the 9-hour set first, as you never know from what angle this will come. But if you are a fan of The History Channel, you will want to order a copy. One other note: after you fill in your name (or maybe it is before, I forget), you are asked to give a school name. If you don’t already have a name for your homeschool, such as Excellence Academy or whatever, give it a name for the sake of the blank you have to fill in. That means on April 25th, she will be performing a showcase at the Hard Rock Cafe in Nashville. So if you have nothing to do that afternoon, come on down and join us! It’s sure to be a lot of fun! (Preview: Olivia is going to perform one song written by Nick, and he is going to play guitar with her.) She’ll be doing some covers as well. It is flip flop weather again in Tennessee!! And although the temps are still vacillating between chilly and comfortable, the flowers are peeking our of their winter hiding places. I have been nursing a lilac bush which I rescued from certain death at Lowe’s a couple years ago. It has not bloomed….until this year. Okay, there is only one bunch of blooms on it, but the fragrance is unmistakable. I almost dug up the bush last fall because it had yielded nothing but foliage, and now I am happy I did not. That one bunch of blooms made my day today. Isn’t life and especially homeschooling like that? We expect “blooms” (results) where there are none, get frustrated with God for not changing a situation to suit our desires, and then Boom! Out of the blue comes something beautiful and fragrant. One homeschooling day, isolated, doesn’t seem like it yields much fruit. 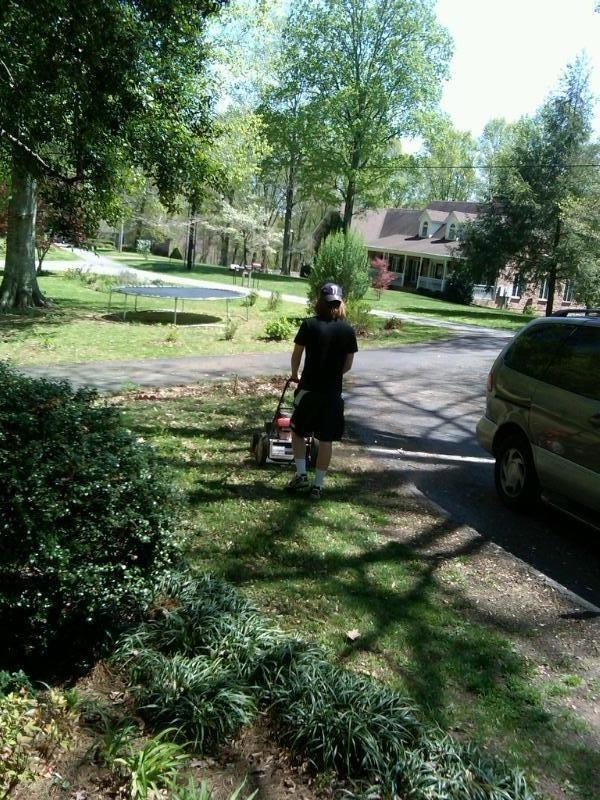 We have our children do their work, then they are off doing other things for the rest of the day. Sometimes we don’t see any “blossoms” or fruit of our labors and just want to quit. 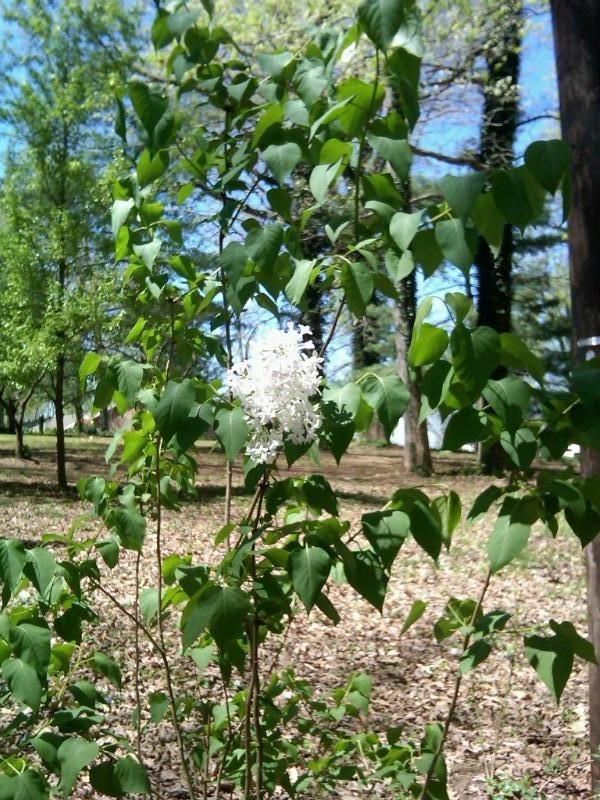 But day after day, most of the time imperceptibly even, our children are growing and learning, and the blossoms will come, sweet and fragrant in season if we don’t dig up the lilac bush and throw it on the compost heap because it is not acting like a lilac bush should act. In God’s time, all things are made beautiful. At this point in my household’s homeschooling year, I am lightening up a little on their educational burdens. We have our home for sale, so a week ago we took a week of school, and instead of learning from books, we did some practical application-type of stuff around the house. Or I guess I could look at all the work the children did as an entire semester’s worth of PE. 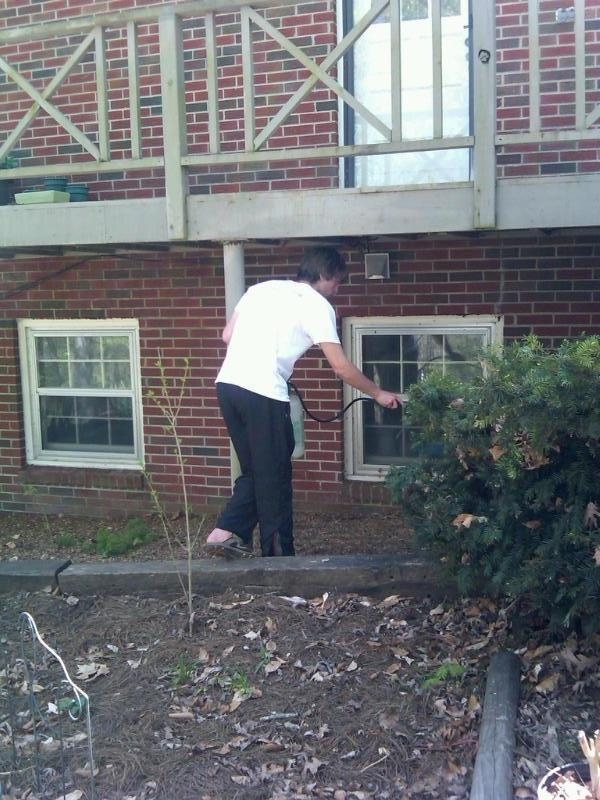 Scrubbing, organizing, replacing deck planks, cleaning, and raking/burning leaves were life lessons versus book lessons. It was a nice break. We have, I think, 6 weeks to go in our school year since we take generous breaks throughout the year to keep our batteries charged. Next month I will have another student graduate from high school….I will write a bit about that soon. Saving that for another post. But time marches on. I hope that you are enjoying the change in weather, and I hope that you are enjoying your child/children/family. Isn’t that what it is all about…grabbing the minutes and wresting enjoyment from each one? I don’t always do that. I usually just rest via a nap. But when I wake up, I am ready to wrest again. Naps sure are handy things. I’ll let you get back to your beautiful day in your neighborhood. 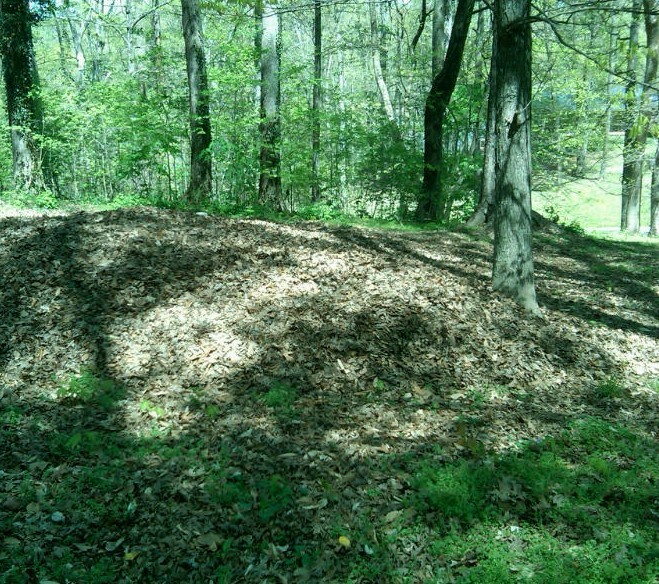 Here’s a picture of the giant leaf pile the kids raked and raked together last week. We could swim in it. Oh, that you could truly see how deep and wide this leaf pile truly is! And ths is only one of two piles we have right now. You are currently browsing the The Homeschool Coach's Weblog blog archives for April, 2010.